A.J. 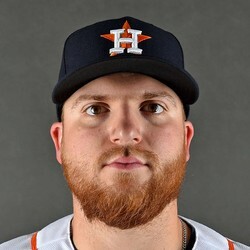 Reed has been recalled from Triple-A Fresno to take Yuli Gurriel's place on the active roster. Gurriel was placed on the paternity list and could miss the next three games. Reed provides the Astros depth at first base during Gurriel's absence, but he is not in the lineup tonight against the Rays. This is likely nothing more than a cup of coffee for Reed who has not been able to sustain any success at the big league level. He could be a cheap value play in daily fantasy this weekend but nothing more.